This is the first in a series of games from Impact International from the UK. The box art is very similar to the US Rose Art games (three of those too), but the look of the game and mechanics are completely different. 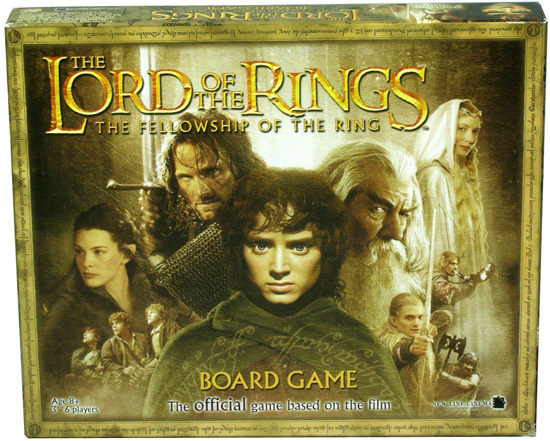 This series is "The Official Lord of the Rings Game" by New Line Cinema. 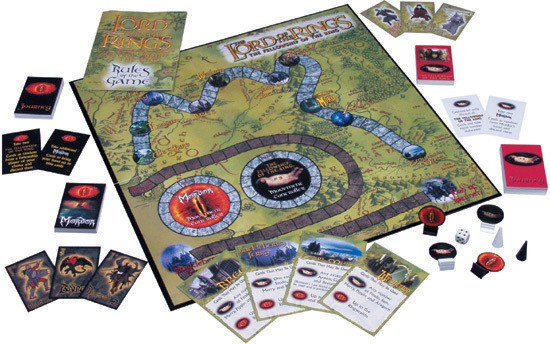 The first two games are still available, but the third game (Return of the King) is very hard to find. When I get a chance, I will get a review. For now check out all three of these games from Impact International. Here are some pictures so you can see what they look like. And the game. Can be continued with the next game, The Two Towers.